Today starts in the National Museum in Monrovia an exhibition portraying Paul Julien and his work. Paul Julien was a Dutch photographer and amateur-anthropologist, who travelled in the interior of Liberia in 1932. He wrote many books on his travels in West and Central Africa, the most famous being ‘Kampvuren langs de evenaar’ (‘Campfires along the equator’). Contrary to what I mentioned in my previous post, Part I on Paul Julien in Liberia, this book was translated into seven languages, though I never ran into an English copy. In the Netherlands it sold over 100,000 copies and thus became the most popular Dutch book on Africa ever in his country. The Dutch photographer and researcher Andrea Stultiens puts the spotlight on Paul Julien, his work and Liberia. As she mentions on her website, she tries to connect the past that was documented by Paul Julien to the past as remembered in Liberia and the way it is connected to the present. In the Netherlands Paul Julien’s photographs and films are part of the collection of the Netherlands Fotomuseum in Rotterdam. Now, Liberia pays tribute to this humble but educated man, who worked as a chemistry teacher in the Netherlands to finance his over 30 expeditions to Africa. Paul Julien (1901 – 2001) died three weeks before his 100th birthday. He leaves behind a legacy that as from today can be admired in the National Museum on Broad Street, Monrovia, Liberia. The exhibition runs through August 19. The Liberian newspaper Daily Observer has for the past eight weeks paid much attention to the exhibition and Paul Julien through a series of articles written collaboratively by Kenneth Best and Andrea Stultiens (see below: Recommended additional reading). 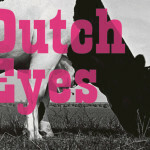 For those who are interested in Paul Julien’s work on Liberia but who cannot visit the exhibition in Monrovia’s National Museum, there is ‘Dutch Eyes’, an overview of the history of Dutch photography, posted on the internet in 2012. This site contains an impressive amount of information on Paul Julien and his work, both text and images. Unfortunately most of the text is in Dutch such as numerous interviews with the famous traveller and the full text of ‘Kampvuren langs de evenaar’ (can be downloaded here). 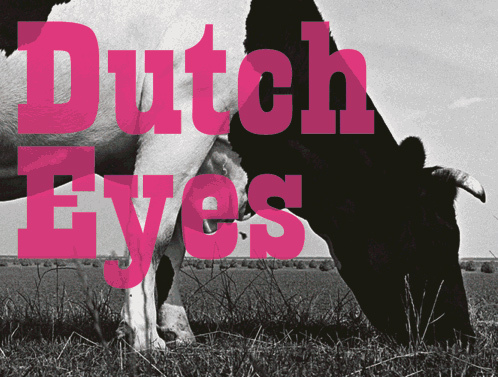 However, since a picture says more than a thousand words, it is nevertheless worth visiting the ‘Dutch Eyes’ site. The beautiful photographs show an outdated world and Julien’s working methods are definitely by today’s standards questionable but his sympathy for the people living in the interior is undisputed. Paul Julien walked through the forests of the interior of Liberia. The map shows his itinerary: Monrovia, Kakata, Suakoko, Namaa, Sanniquellie, then leaving Liberia for N’Zérékoré in (French) Guinea. Focused on his work that mostly consisted of collecting blood samples and measuring indigenous people, he paid little attention to the political reality Liberia was facing in the 1930s. As an anthropologist he was more focused on the ordinary people and their immediate living conditions. Inevitably, he extensively treats the secret Poro society and the murderous activities of ‘Leopard men’. He also meets with President Edwin Barclay in Monrovia as well as government officials and although he is kind to them in his book, in reality he finds them repulsive as he mentions in his letters to his friends and relatives in the Netherlands. Liberia faced an unprecedented crisis in the early 1930s. It started with the resignation of the President and Vice-President of the Republic in 1930. President King and his Vice-President Yancy were accused of permitting slavery and involvement with slave trade and forced labour. Although an independent League of Nations report did not find enough proof for the existence of slavery, the report of the commission, named after its chair Christy, was devastating. Both the President and his Vice President hastily resigned in order to avoid impeachment. 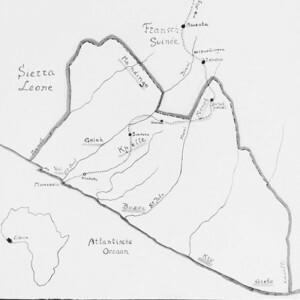 The aftermath of the ‘Slavery Scandal’ was a major Kru uprising against the Government in Monrovia in 1931, one of the most serious insurrections in Liberia’s colonial history and – in retrospect – the last tribal resistance to the regime of Americo-Liberian settlers. The brutal and oppressive reaction of the Liberian Government caused international outrage. In the League of Nations voices were heard to expel Liberia from this organization. Britain severed dilomatic relations with Liberia. In 1932 President Barclay introduced a moratorium on the payment of Liberia’s huge public debt. The Moratorium Act caused additional problems with the League of Nations, dominated by the country’s most important creditors, the USA, Britain, Germany and – to a lesser extent – the Netherlands. In vain, Firestone asked the US Government to invade Liberia. To avoid confiscation of the public revenues by its creditors, Liberia reached a secret deal with an old Dutch trading firm operating in the country, the Oost Afrikaanse Compagnie (OAC), whereby OAC informally acted as Liberia’s Ministry of Finance – in the absence of a Central Bank – and kept its meagre revenues and other public funds in its vault. Very probably, Paul Julien was not aware of this side of Liberia’s reality. 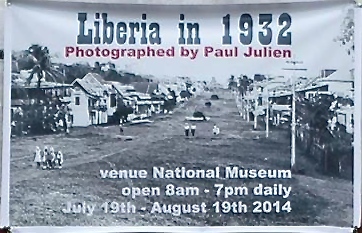 Through his work we have a chance to have a glance at everyday life in Liberia in the 1930s. It makes it worth visiting the exhibition in the National Museum on Broad Street, Monrovia. We owe many thanks to the organizers of the exhibition, notably the management of the National Museum as well as Kenneth Best and Andrea Stultiens. Special thanks to the latter for the use of the picture at the beginning of this post. This entry was posted in Alhaji Kromah, Americo-Liberians, Andrea Stultiens, Barclay, Campfires along the equator, Christy Report, Daily Observer, Dutch Eyes, Firestone, Hendruk Muller, Kampvuren langs de evenaar, Kenneth Best, Kru, League of Nations, Leopard men, Liberia, Liberian History, Monrovia, Moratorium Act, National Museum Monrovia, Netherlands Foto Museum Rotterdam, OAC, Oost Afrikaansche Compagnie, Ordinary Liberians, Paul Julien, Poro Society, President Charles King, President Charles King resignation, President Edwin Barclay, Ritual Killings, Sasstown, Slavery Scandal, Vice President Allen Yancy, Vice President Allen Yancy resignation. Bookmark the permalink.